St Andrews Constructions is a family owned and operated business based in Noosa on the beautiful Sunshine Coast. With more than thirty years of experience we are known locally amongst repeat clients for our high quality workmanship, integrity and solid work ethic. Deeply committed to our client’s needs, we enjoy working with them and not for them. By providing expert advice we assist clients to realise their projects full potential whilst ensuring a stress free experience from the first site meeting to the final handover stage. From the initial Design stage to Construction Management through to Final Inspection our clients appreciate the high standards we meet and exceed. Our commitment means client satisfaction has always been our best source of advertisement, and we assure you of our best attention at all times. As members of Master Builders we specialise in custom built homes, renovations, commercial and industrial refurbishments and developments. All tradesmen and subcontractors we choose to work with are professionals who excel in their abilities, and are polite and friendly at all times. Health and safety is of the utmost importance to our working practises, as is maintaining industry standards. 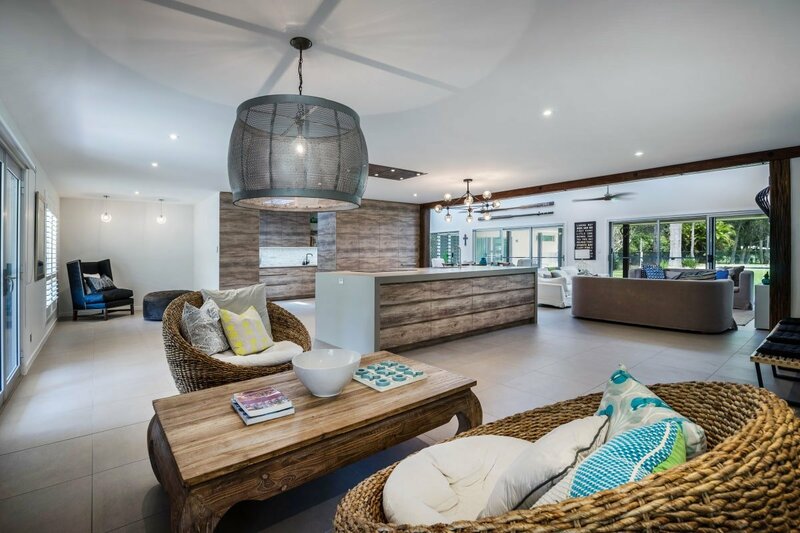 With a passion for custom build homes, St Andrews Constructions provides a complete building experience from an idea our clients have right through to turn key. 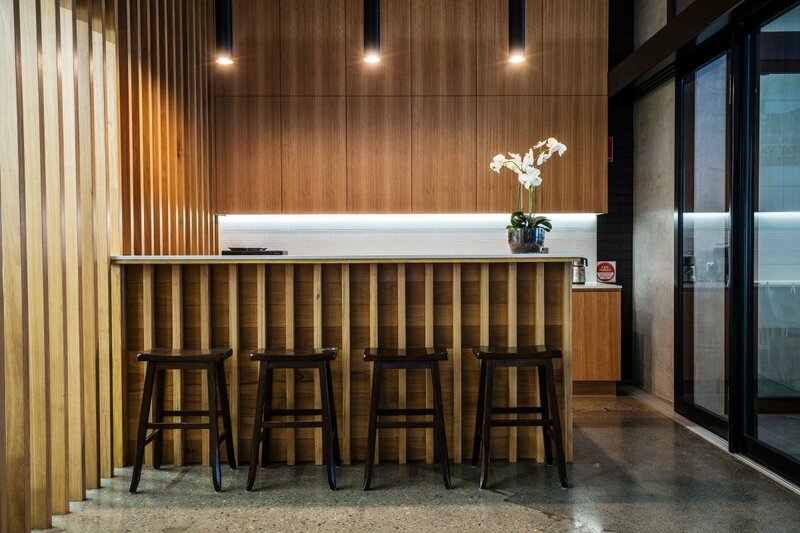 St Andrews Constructions expertly liaises with architects, engineers, building designers and interior designers to realise your projects full potential – both inside and out. We can take care of all Council liaising, certification and approvals ensuring clients have a smooth and pleasurable experience from conception to completion. By building a trusting relationship based on integrity with our valued clients, we ensure their home is a true representation of their dreams and aspirations. With continual communication at every step of their project, our clients feel relaxed and confident knowing their project is in safe hands. If you’re simply at sketch stage or have a set of full working drawings, St Andrews will provide you with an excellent proposal to build your next dream home. As with custom homes, St Andrews Constructions offer a wealth of experience alongside an excellent service from the concept design to completion. Renovating is no different. Whether your existing home is relatively new or old and you wish to alter or add space, St Andrews Constructions provides the same highest standard of service from the very beginning of your journey, even before the drawing stage. Not all builders are renovation and extension specialists. We are proud to say that due to our extensive experience, but friendly down to earth manner, St Andrews Constructions offer a unique service – we simply enjoy assisting clients realise their projects full potential. Working to our exceptional high standard, adhering to timeframes and budgets, whilst understanding the needs of a resident family are qualities fully welcomed and appreciated by past and repeat clients. Renovation and adding to penthouses and apartments is a challenge St Andrews Constructions both welcomes and enjoys. We can work closely with building designers for your alteration needs and interior designers to assist you in achieving the updated look you envisage – be that your tile, cabinetry or sanitary ware choice, furniture choice or you may need a little help choosing your new soft furnishings. We can assist you. 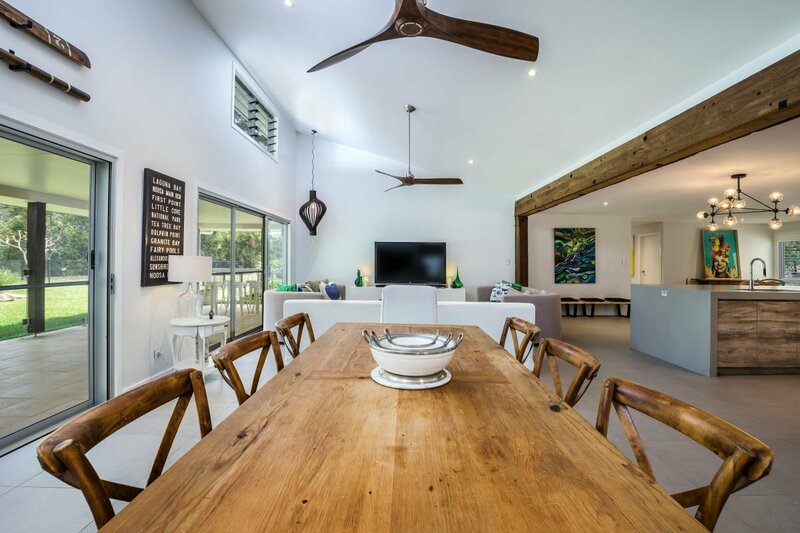 Liaising with onsite Managers for the smooth running of your renovation is a practise we are well accustomed to in the Noosa area. We understand timeframes must be strictly adhered to, and that lost rental income due to building works surpassing the allotted time is an inconvenience which many can ill afford. We assure you St Andrews Constructions take every precaution to minimise noise, dust and disruption to neighbouring properties, and have an excellent working relationship with onsite Managers. Whether you’d like to build on a brand new site, or need solid advice with renovating existing structures, St Andrews Constructions can assist. 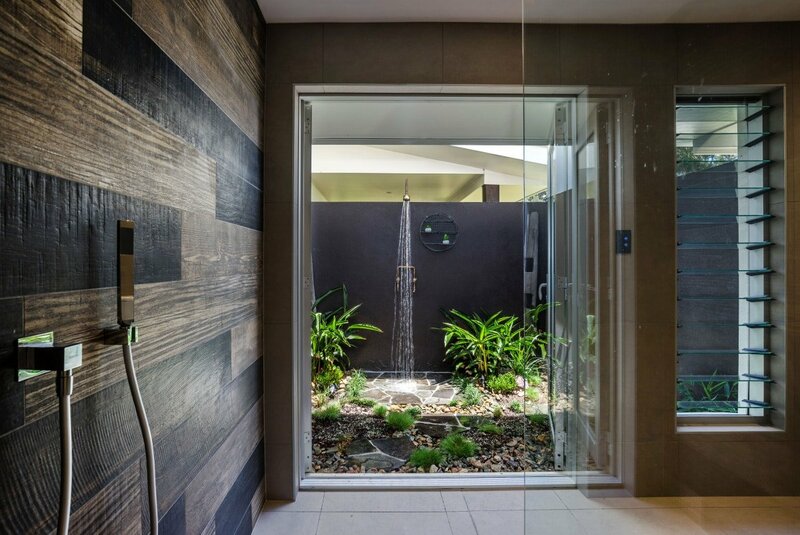 St Andrews Constructions offer clients the most up to date design advice and construct service. We had a challenge on our hands to find a builder who was prepared to take on a modest extension and refurbishment to our Queenslander style home designed to pay tribute to an earlier architectural award winning extension, in terms of styling and build integrity. It turned out to be our lucky day when we signed up with Steve of St Andrews Constructions. Steve was warned we were sticklers for quality and precision, and he rose to the challenge, turning up sometimes several times a day throughout the build to ensure that progress was being maintained and that we were happy. The build was completed to our total satisfaction in the promised time of eight weeks, thanks to Steve’s skill at anticipating each stage of construction and ensuring materials were on site promptly. Steve’s principal carpenter, Soren, was meticulous in his attention to detail and a true craftsman. He also had the skill of being able to come up with innovative solutions when any challenges presented themselves. Never have we seen builders who were so thoughtful in terms of our privacy, and ensuring the site was left immaculate at the end of each day. Contractors brought in for specialised tasks (flooring, painting etc) were also of a very high standard. When you find a good builder they are gems to be treasured and shared only with the lucky few. Steve and his team are those gems. We couldn’t be more pleased with the result. St Andrews Constructions have done a number of renovations at our resort, and every owner who has had work done by St Andrews have been extremely pleased with the quality of work. I have found them very helpful in finishing the work on time so we can have the apartments back in the letting pool as soon as possible. I would recommend them to anyone looking at doing renovations. Over the past five years St Andrews Constructions has worked on several projects for our complex. From full unit renovations, extensions to the main office and laundry, as well as maintenance and repair works. We have always had constant communication regarding progress of works before and after commencement. All staff were courteous and polite towards our in house guests and worked around the needs of the guests and onsite management and staff. We will continue to work with the team at St Andrews Constructions as we have future projects already underway. We highly recommend this efficient and reliable company. I have known Steve and the St Andrews Constructions team for nearly seven years and have always been impressed by their care and attention to our building projects. We have used their services extensively over those years by engaging them to build large scale commercial builds right down to changing a washer in a tap on a rental property. I highly recommend their services for any project and am confident that their personal touch will see any customer come back again. We have used Steve and the St Andrews team over the years relating to renovation and repairs. We have been extremely pleased with the service provided and the end result. Steve is extremely knowledgeable with regards to his trade and provides practical and, when necessary, innovative solutions to problems we have presented him with. He will not go for the easy solution but the correct solution, which in the end we have found has paid back the initial outlay. His team are friendly, courteous, tidy and very hardworking. I was recommended St Andrews Constructions when I wanted some work done on my property at Hastings Park, Noosa before putting it on the market. Although overseas at the time, St Andrews Constructions prepared a priced Schedule of Works in conjunction with my Agent, Tom Offerman. The proposal and price were competitive and realistic and I instructed St Andrews to proceed. The works were completed quickly and professionally with no problems regarding minor changes in scope. Based on my experience with St Andrews, I would be more than happy to recommend them to other property owners in the area. We would like to convey our special thanks to your team at St Andrews for the wonderful job you did on our recent apartment renovations. We are delighted with the final product and appreciated your suggested modifications. The extra time and effort put in were certainly worthwhile and we especially appreciated regular updates and progress photos. Onsite management was most impressed with your work ethic and workmanship and have been approached by other owners for your contact details. We are receiving very positive feedback about the new look apartment. It was a pleasure to work with you and we hope we will have the opportunity to use your services again in the future. St Andrews Constructions in recent years have completed several projects for the Sunshine Beach Surf Club with some in the tens of thousands dollar range and three in excess of $400,000. The St Andrews Constructions team have completed all jobs on or before time, and to date we have had no nasty budgetary surprises. St Andrews Constructions work in well with structural engineers, designers and other stakeholders, and have been very understanding of the commercial realities of our business to minimize the impact to trading during the construction phase. We are only too happy to recommend St Andrews Constructions to prospective clients. St Andrew’s Constructions have been contracted to undertake various work at this college over the past five years. Firstly, we have always found St Andrews are great to deal with – very professional, punctual and learned in identifying options to gain the best outcome of work to be completed. The work has always been first class – on time and on budget. We have no hesitation in recommending St Andrews Constructions. We recently had a full house renovation done by St Andrews Constructions. This is our third major renovation and we have to say it was the easiest and smoothest job done yet. St Andrews Constructions experience in project management shines through and their eye for detail and getting on top of issues is incredible. Nothing was too hard for them making it easy for us to communicate our thoughts and ideas without fuss, this gave us a real sense of trust and security… something that is often hard to find with builders. Their time management is meticulous and they kept us informed all the way through so that we knew what was happening and when it was happening. We added a few things along the way and the finish timeframe still stayed the same…. unheard of in my experience with other builders ! They are very thoughtful about the intrusion that renovating and building can be on family life and they are always checking on the welfare and happiness of the whole family including any fur babies you may have. St Andrews have only the friendliest and best workman on site, they were all very respectful and did a fantastic job leaving us very happy and content all the way through the build. At the end of the project the house was thoroughly cleaned and ready for furniture placement making the flow back to normal life a breeze… not forgetting the excitement of having a beautifully finished home. 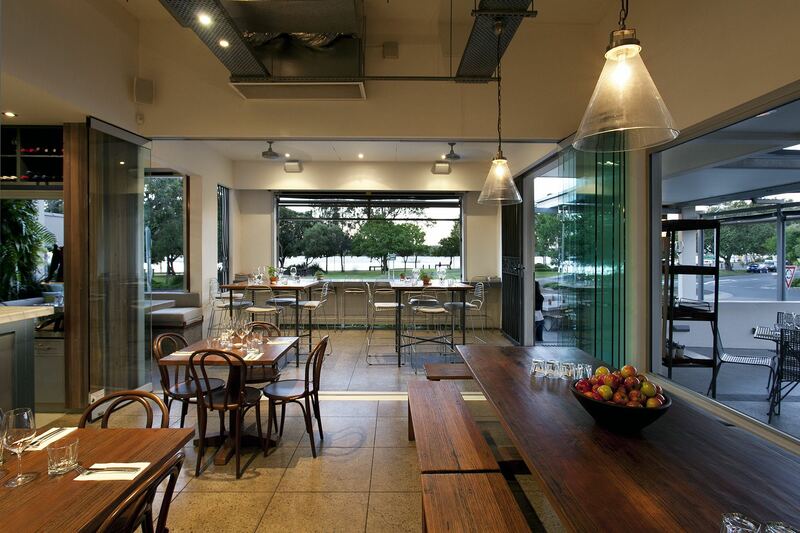 We used St Andrews Constructions to build the entire fit out of our restaurant including the installation of the kitchen and bar, cabinetry, plumbing and wiring. We were guided through each stage of the build, they worked closely with us, keeping us fully informed and adhering to budgets. In fact, we came in slightly under budget! St Andrews went that little bit further and designed and built our large signage and menu display board adding the personal touch. The quality of St Andrews workmanship is excellent and all the trades people used were reliable, friendly and competent. We would have no hesitation in recommending St Andrews Constructions.